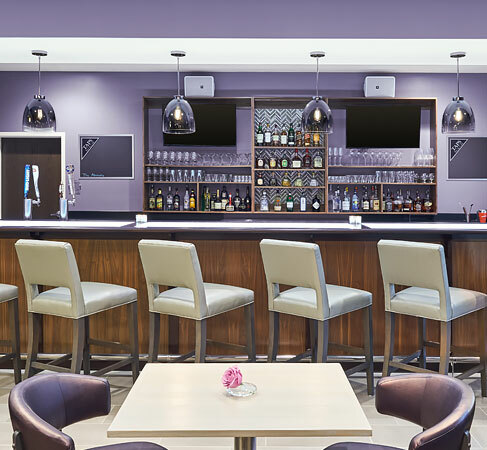 Located in the lobby, TAPS Bar & Café is a perfect spot to meet friends before a home game, grab a breakfast on the go, or wind down after a day of college touring, conferences or meetings. Mornings feature specialty coffees, fresh local pastries, fruit, parfaits, smoked salmon plates and other rotating seasonal items. During the afternoons and evenings our friendly bartenders greet guests and university faculty and staff with creative Clemson-inspired specialty drinks and a wide selection of beer and wine. Enjoy them paired with our menu of lite bites and small plates such as cheese & charcuterie boards featuring Clemson's famous artisan Blue Cheese.